The friendly school where children learn skills for success in life! 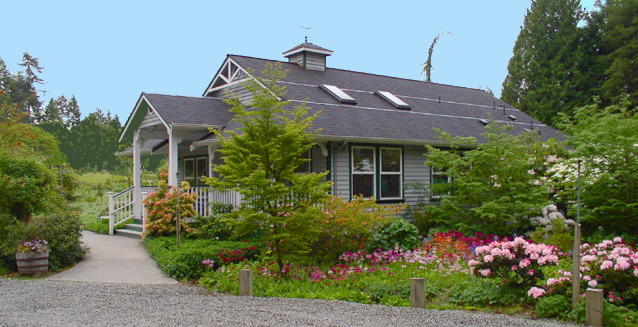 Children’s Garden Montessori School of Poulsbo has been offering high quality education to children and families in the North Kitsap area for over 25 years. Our program is designed for children ages 2½ - 6 to thrive and grow to their fullest while gaining intellectual, physical, social, and emotional skills for success in life. We’re proud to provide an extraordinary facility with complete Montessori learning materials - everything from botany and geometry to tuned bells - ideal for developing interest and skills in math, science, reading, and abstract concepts. Director and teacher Kristen Sundquist earned a degree in elementary education and Montessori credentials from Seattle University. School curriculum is tailored to your child’s individual needs and interests. Children love learning here. We provide a unique and vital preschool experience for your child – a strong start for school as well as important skills for success in life. We expose children to a rich variety of activities and experiences at the time in life when their minds develop most rapidly. At our school, children enjoy learning, succeed, and develop an "I can do it!" attitude that stays with them all their lives. Call or email for an appointment to visit. Come see the place where children love learning and gain skills for success in life! Featured in the Kitsap Sun!